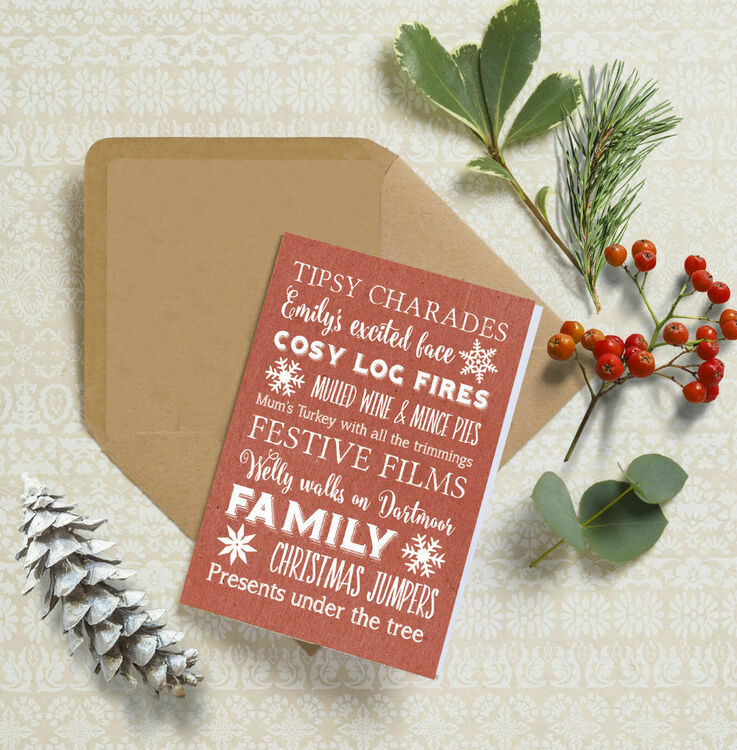 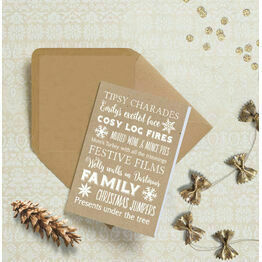 Personalise this rustic red Christmas card design with all the things that make the festive season so special in your home. 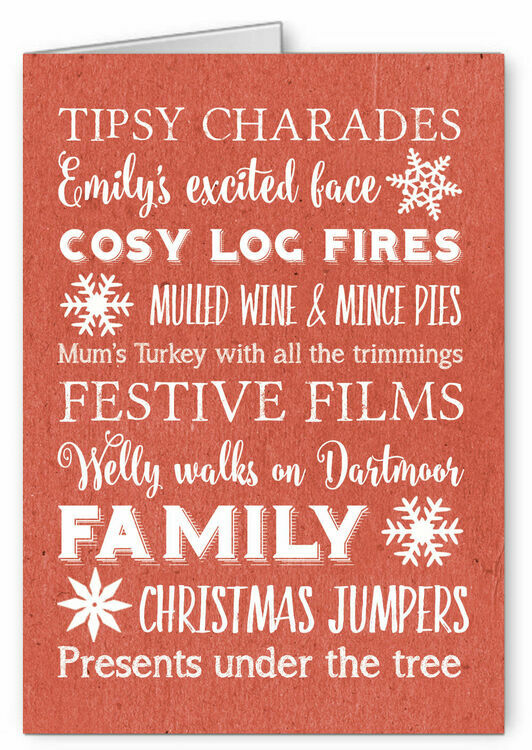 Whether it's welly walks in the countryside, mum's famous roast turkey or games around the fire - capture all your cherished memories within the text on this card for an extra personal touch, bringing a smile to your friends' and family's faces. 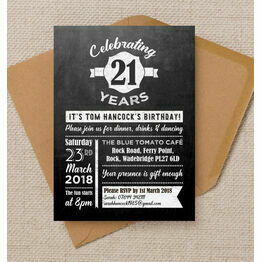 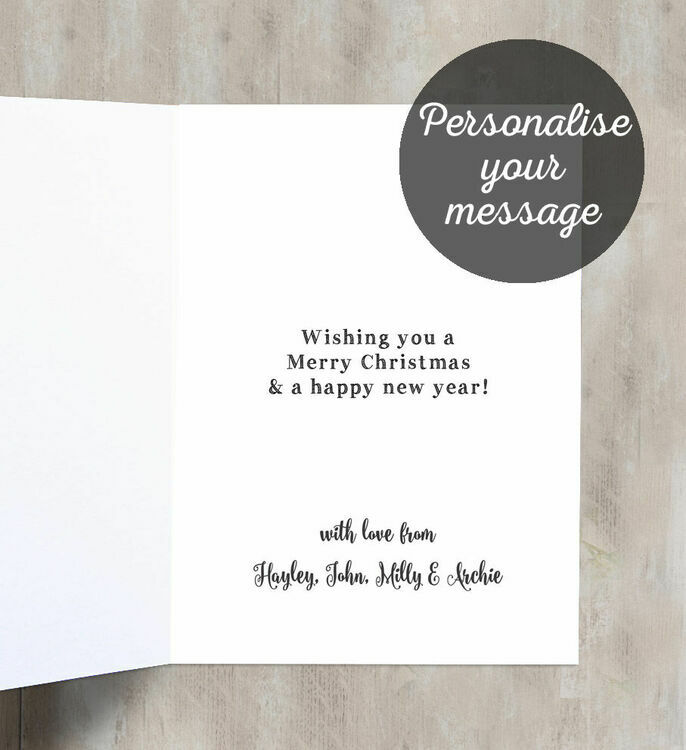 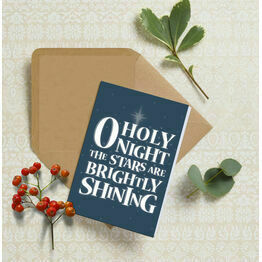 This is our own exclusive design which can be personalised on both the front and inside for your convenience.